Les Impatients is a collaborative photographic project initiated by Montreal photographer Gabor Szilasi. 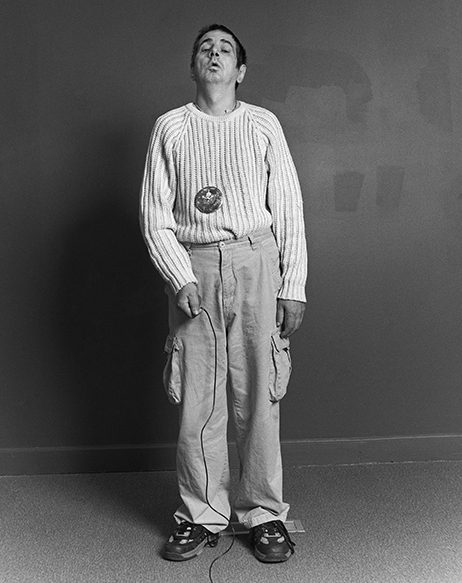 The series includes portraits and self-portraits by members of Les Impatients. Les Impatients: Take 2 presents artmaking as a powerful mode of expression and healing. Gabor Szilasi was born in Budapest in 1928 and immigrated to Canada in 1957. Well known for his photographs of rural Quebec in the 1970s, he has also extensively photographed Montreal’s streets, architecture, and people. Since 1980 he has returned frequently to Hungary to document the changes in his native country. His work has been shown across Canada as well as in the United States, Hungary, Poland, and Italy. Szilasi taight photography at Concordia University from 1980 to 1995 and has been a visiting professor at the Cracow Academiy of Fine Arts and at Stanford University.